I want to see the formerly-disgraced and the fallen rise again. I want to believe that America is a place of second and third chances. I want to champion the aging parent-athlete as an embodied cultural artifact that sings the praises of a balanced and long-range ethos of health and fitness. And certainly, I don't want to be the cynic who, as American journalist, Sydney Harris claimed was "not one who reads bitter lessons from the past but who is preternaturally disappointed in the future." I want to believe that former world-class sprinter, Marion Jones, convicted steroid user and card-carrying member of the recent Fallen Hero: What the Hell Was I Thinking Club, can still thrill us with her athletic endeavors. I want to believe this for more reasons than the codified mystery that pulses through the veins of fellow ex-athletes; that something primal and transcendent, like returning vets from non-sequitur wars. 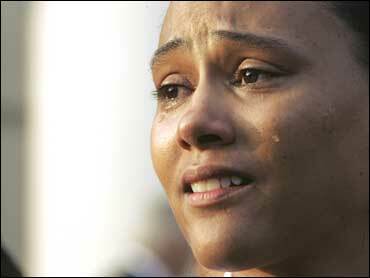 I want Marion Jones to win again because if she does, we will hold her accountable, as she must be. You see, when you come home dirty you take on a responsibility to clean up your mess. You have to earn your way back to the front of the line at halls of fame and halls of V.F.Ws. Jones can do it. But it won't be easy for her. I want Marion to succeed with the Tulsa Shock of the W.N.B.A. not because of what she has done (good or bad) but for what she can do for anyone who has made a mistake and wants to clean it up and move on. This, I suggest, is every damn one of us. Marion Jones wants to get back, to recover, to make amends, to be released from sins…all of which Webster suggests are part of the term 'redemption', part of setting oneself free from a past wronged by poor judgment, poor taste or plain stupidity and greed. Why then, would Marion Jones claim that "redemption isn't a part of my vocabulary." Did those words really come out of her mouth? There can only be three possibilities as I see them. First, she might be confusing redemption with such other human traits that endear one to the masses and the jurists but don't enable elite sport performance. Those traits might include empathy and humility. Add kindness and camaraderie while you're at it. Those are the attributes that you role out for the Grand Jury but toss back to the PR people when you step onto the killing fields of pro sports. Second, Jones' comment might've been a simple, semantic faux pas-she meant to say that 'redemption' is indeed a part and parcel of the new Marion who served a 6 month prison term for her guilty plea to perjury and who has espoused a drug-free approach for the next generation of track and field athletes. Maybe Jones just confused moral redemption with grocery coupons and mail-in rebates. Or finally, Marion Jones could still be wandering around in that post-athletic desert, her forty days and nights moving low and slow into an untenable present that can only be reified within the holier-than-thou world of professional sport. If Jones truly understands what the notion of redemption means and she feels that she has little to be redeemed for as she enters a new arena of commercial sport, then the W.N.B.A. has made a mistake. Donna Orender, president of the W.N.B.A. said of Jones, "She's clearly a global figure, who people are interested in…Having somebody like that associated with our league is positive." Marion Jones is clearly global--for the moment--but positive is as positive does. Don't show us the money, prove us the grace. "This is an opportunity for me to realize a dream, an opportunity for me to share my message of hope, of second chances" Jones claimed in her recent press conference. "But redemption doesn't creep into the equation for me." But it does for other retired athletes who've fallen hard and crawled along the obscene underbelly of humility until someone offered them a redeeming hand-up. How many debilitated NFL players who played hard and played clean but can barely get out of bed in the morning dream about a second career as a pro golfer or even a few nights and a few bucks with the WWE? Would they disavow redemption under Jones' definition? Doubtful. Time will tell whether Jones' redemptive nod was behind door number 1, 2 or 3. Athlete heroes are often beset with the ironics of life. For many, whether rising, reigning or fallen, it is the only job they are qualified for. Who amongst us can pretend to know what it's like to wake up with a 60 Minutes film crew at our bedside? And some times an ex-pros' pathos is only that which the athlete allows. I look at Jones and suggest that she is not invulnerable. That would suggest that there is nothing left to hurt; an unlikely scenario for a caring mother of three. I don't see pathos in her hubris. Only naïveté, a trait that you'd think prison would reverse. People have reinvested in what they think she learned. Tulsa Shock President, Steve Swetoha said that Jones is a great addition to the franchise, a person deserving of another chance. "She made some ill-advised decisions in the past, but everyone deserves a second chance to excel at something they love," Swetoha said. But language is hard enough to understand in a world where words don't always mean what they used to. And do we really know what Marion Jones loves? I'm casting my vote that Jones finds her dignity in the illusion of the immortality of pro sports. And that she redeems the former and disposes her falsity in the later. I'm voting for Jones to realize that if she continues to make mistakes in choosing her advisors and her words soon enough she will be forced to do what any fallen hero must always already do: let their actions speak for their life choices.